Steamboats connected with the railroad at the depot. Barrels of seafood, fruits and vegetables were transferred from boat to train car on this dock. In the photo above you can see a side wheeler steam boat and a steam locomotive as well as barrels of produce. United States, Library of Congress, Washington DC. at the corner of Chesapeake and Somerset Ave. in the family burial lot. Center-rear section enclosed by an iron fence. P.L.G. 2010 The first name by which the town was ever designated was Annemessex Neck. The origin of this name is obvious because of the fact that a tribe of Native Americans called the Annemessexs lived and hunted on the River near Crisfield, which also bears their name. The local tribe was a branch of the Pocomokes that were seated to the east of here on the Great Pocomoke River. Among the first colonial settlers to this area, was the Family of Somers. Benjamin Somers (Summers) the progenitor settled in the Annemessex area in the year 1663. He was granted a patent by the Calverts of Maryland on February 10 1663. His tract of land was called Emessex and contained 300 acres. His home was near the center of the tract on a small gut leading out of a cove, which was later called Somers Cove. The upper part of this tract became the town of Crisfield, and the Cove still bears the name. During the colonial period the area was sparsely populated by Native Americans and English settlers. Maryland being a proprietary colony gave ownership of the land to the Calvert Family (Colonial Governors) who in turn could grant land to settlers in the form of a patent or land grant. The patentee could receive hundreds of acres of land for moving into the colony and 50 acres for each person he transported in to the colony. This action was known as a headright and increased the size of the grant for the land owner. Quakers from Virginia came into Maryland to escape Religious persecution receiving large land grants along the Rivers of Somerset. English immigrants such as the Sterling, Ward, Nelson and other also found the area attractive and settle throughout the watershed. Annemessex or Somers Cove had a natural harbor surrounded by land that was good for farming. Colonist fished, hunted, clammed, and caught oysters for their substance and not to sell. Fish could be salted, with salt that was evaporated from small ponds of sea water or boiled out in large kettles in the fireplace, or dried on racks in the sun. The bivalves were consumed right away before they spoiled. Native Americans probably showed the settlers how to catch and prepare the local aquatic harvest. The cash to pay your taxes and buy the things you needed were acquired by trapping, farming, grazing livestock, and distilling brandy from many types of fruit trees. Tobacco, corn and wheat were the cash crops of the period and were used to buy land and other necessities. Plantations were like small communities made up of large families, servants and in many case slaves to work the fields, tend herds, and harvest crops. The art of blacksmithing, candle making, basket weaving, carpentry and wheel right were practiced by the slaves and servants. Somerset County estate records and inventories show carpentry, blacksmithing and wheelwright tools, as well as hand mills and stills. Life was hard in the early days before the 1840’s because there were no strikable – matches, kerosene lamps, ink pens, refrigerators or sewing machines. Fire was started by a method known as “Flint and Steel” lamps used whale oil or animal fat. Candles were made from Bayberry bushes growing on the marsh edge. The blacksmith had to start a fire in his forge with a steel and flint to the light the fire in the charcoal (later in coal) and pump the bellows by hand or foot. During the time of the Great Civil War the area began to change, and by the end of the War ships were being built by local craftsmen, ice was being shipped to Annemessex form the Kennebec River in Maine, stored in saw dust and used to preserve seafood. In 1866 the Railroad came and the area was forever changed. Crisfield would probably have retained the name Somers Cove or Annemessex but for a trifling accident which befell the Honorable John Woodland Crisfield, a leader of the Somerset Bar and Member of Congress from the District. Mr. Crisfield was also involved with the railroad, and during an inspection tour of the docks, he was walking along a shaky old foot way which led to the Steamboat landing. The story goes that one of those old boards gave way and the distinguished lawyer and statesman landed in the cold waters of the Annemessex River. With much difficulty he was fished out, not much the worse for his ducking, but his clients sought to mollify his wrath, and on the spot christened the future City of Crisfield. 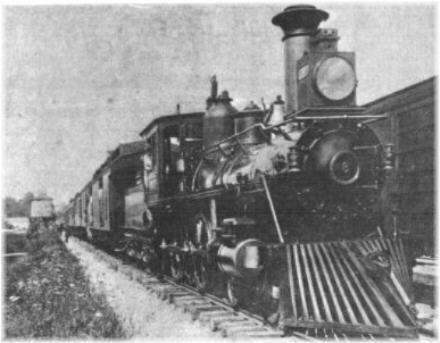 The railroad was completed around 1866 forming a link between the Steamboat Service and Train Service to all the major cities of the northeast. The last half mile of the rail was placed on piles and trestles across the marsh land to the deep water of the River. Crisfield received its Charter from the Maryland Legislature forming the town in 1872, and began its advance to the river and deeper water. Most of the first houses built were placed on piles over marsh or water. To fill the swamp land, oyster shells were used. Today from the center of the town to the city docks is man—made land of billions of oyster shells crushed compactly together forming the foundation of the larger part of the business section of the city. The location of many of the larger packing houses is “made” ground of packed oyster shells and it is as firm as the Rock of Gibraltar. The late 1800’s was the era of the steamboat and Crisfield had regular steamer service sailing from Norfolk to Crisfield and from Crisfield to Baltimore. 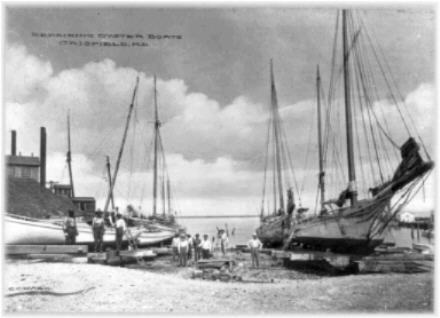 By 1910, the Custom House at Crisfield had the largest list of sailing vessels of any port in the United States, and became a port of entry. In 1910 Crisfield abandoned its early form of Commissioner Government that had served the community since 1872. 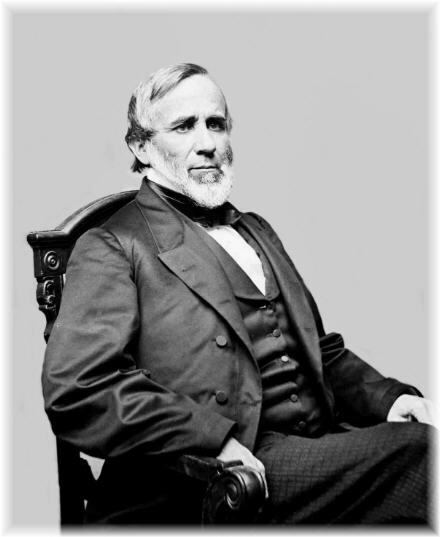 Doctor William Fletcher Hall a practicing physician in the city was elected the first Mayor. W. Jerome Sterling, Edward P. Wyatt, and Benjamin F. Gibson were elected as Councilman and William E. Daugherty was appointed Clerk-treasurer. Today ferries from Smith and Tangier Islands and hundreds of work boats travel in and out of Crisfield harbor carrying passengers, oysters, crabs and other seafood. Crisfield is still a great port to visit and we are grateful for the many visitors that arrive by cruise ship, private yacht, buses, cars and yes even airplanes. Crisfield people find pleasure as well as their livelihood on the water. The fishing grounds adjacent to the city are un­equalled. Tangier Sound, situated on one side of the peninsula on which Crisfield is located, offers one of the finest courses for sailing yachts and motor boats in the world. The “early history” of Crisfield is in its people. The courteous and respectful treatment of visitors, the slow and easy but thorough way of doing things which is rapidly disappearing from the American scene, is still very much in evidence in this virgin territory. Past customs and speech are not forgotten but are cultivated for future generations. Crisfield's history is probably not any different than many other ports on the Chesapeake, but to the residents of this once busy sea port it is the birthplace of a nation and what we call home. Our city continues to grow in the 21st Century as new condos replace old Seafood plants. It is our challenge to grow with a reverence for our past and those who struggled to build this city on the Bay.